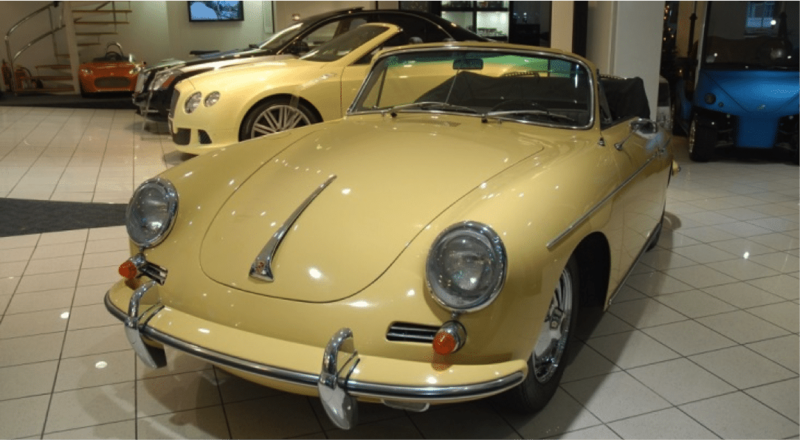 It is rare to come across such an unspoiled original car as the 1963 Porsche 356 Cabriolet featured here. Delivered new in the USA it was owned for 18 years by a gentleman in Los Angeles, California before passing in 1999 to a Garrison New York based collector. The noted specialist, Paul Russell & Co brokered the next change of ownership in October 2003 when it was bought by a New Hampshire based collector and racer. 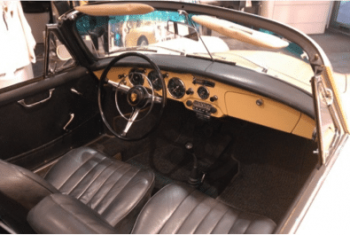 The 356 had covered just 67.097 miles and was described at that point as having no corrosion or accidents with excellent panel fit and having been subject of an $11.000 engine rebuild less than 1.000 miles previously. It subsequently passed to the collector’s wife in 2009 and is now ready for its forth owner in more than 33 years. 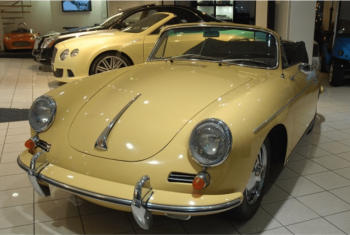 Now showing 71.800 miles on the odometer and with an impossible to recreate patina, this delightful Porsche is beautifully presented in its original colour combination of Champagne paint with black leather. 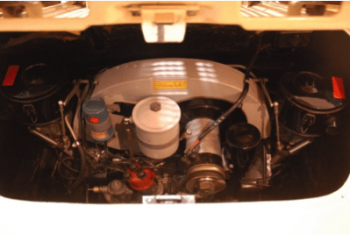 Also present are original factory options of antenna, fog lamps, chrome wheels and chrome luggage rack as listed on the included Porsche certificate of authenticity which also confirms engine and transmission numbers as the originals for this car. 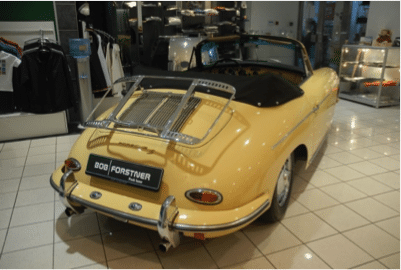 Panel gaps are perfect, as they should be on a Porsche 356, with no sign of accident or repair. 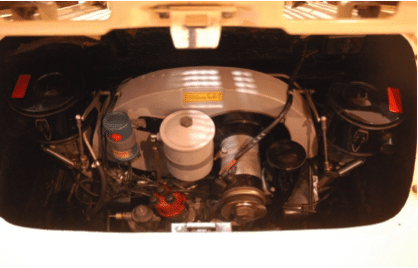 Almost unheard of for a car of USA origin is the history file accompanying the car including the original driver’s handbook, copies of titles stretching back to 1981and bills and receipts, including those for servicing and other maintenance and for a comprehensive engine rebuild at 66.193 miles. The Porsche 356 cabriolet is fun to drive, simple and reliable and draws admiring glances wherever it goes. It is equally at home on the concourse lawn and on a spirited drive through the countryside and this highly original example in a most attractive colour combination is undoubtedly the best we have seen.